Forced to flee Germany in 1936, List photographed in Greece in 1937 and 1938, making still lifes influenced by De Chirico's metaphysical pictures. 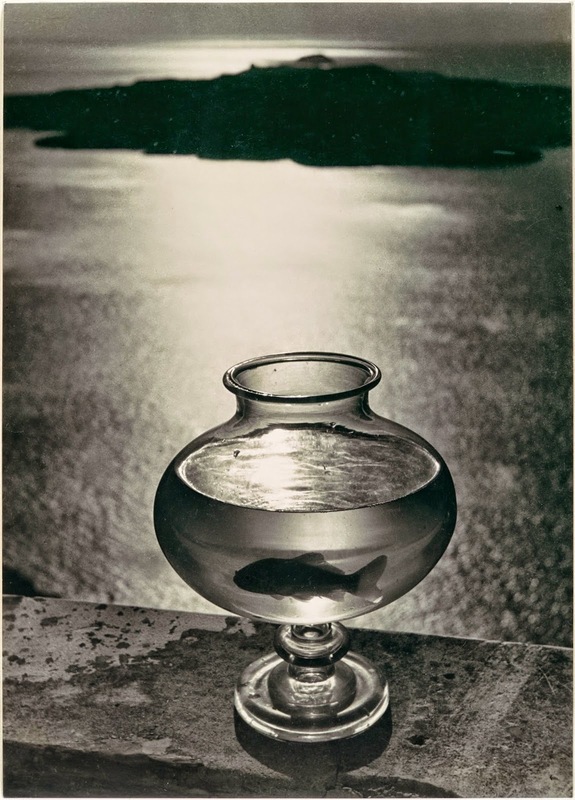 He wrote that the fish in its bowl was a metaphor for the human spirit, which, confined by the flesh, is unable to merge with the magnificence of the world. Like most good symbolic works, the photograph escapes the limitations of its author's interpretation. This meditation on a contained microcosm evokes issues of fertility, futility, art, exile, and more.